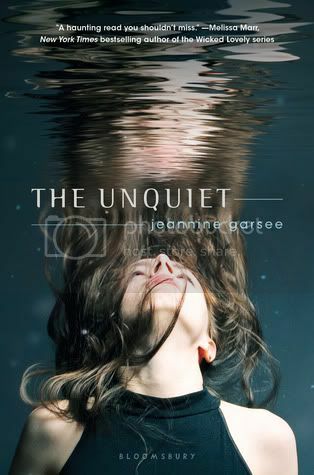 My first impression about ‘The Unquiet’ is that this book is super creepy! I love a good ghost story, and this book definitely doesn’t disappoint. It’s mysterious and eerie, and will keep you guessing right up to the end! The main character in the story, Rinn, is a highly flawed young lady. She’s bipolar, and she’s made a lot of bad choices in her life that she is now paying for. Even with all of these flaws, I still found a way to connect with her on a really strange level. I really enjoyed the relationship between Rinn and the boy that lives across the street, Nate. It wasn’t love at first sight for these two, but a relationship that grew over time. I love the sarcasm between the two the most. Ha! The world-building and pacing for the book was very well done. The mystery in the book definitely kept me guessing. I flew through the pages just to know what was going to happen next. I did expect a bit more from the ending after the intense build-up throughout the book. I did like that this book could be left as a stand-alone book, or could have a future sequel as well. Overall, I found this to be a really enjoyable ghost story. The characters, while flawed, were interesting and the mystery kept me hooked. I am really looking forward to reading more by this author in the future. I've seen this one around the interwebs but haven't seen a review until yours. Yay for a good ghost story--think I'll have to check this one out! I'm at the halfway point of this one and I'm getting the same impression. Creepy! But I am hooked too and can't wait to finish. :) Great review! Hmmm, sounds like an interesting read. I've read a few good reviews of it so I'm kinda re-thinking my initial decision not to read this one. I think I'll look for it for cheap somewhere or at the library, because I DO love a good ghost story. It's too bad that some of the minor characters were brushed-off, because that's one of my pet peeves, but you did have some great things to say about this one, so thanks for the review, Christy! Ooh, I like a good ghost story too, so I'm definitely intrigued! I like the creepy vibe this one gives off. Thanks for the review, glad you enjoyed it! I would definitely be curious about how everything ties together. That would probably make for most of my interest in the book. It certainly sounds creepy! The cover is amazing and yes, it sure does sound creepy! I don't know if I'm into creepy books, but I might pick this one up sometime. This was very creepy indeed. I really enjoyed reading this one and hope to see more from the author too. I love a good creepy story! I need to pick this one up. I love ghost stories! Thanks for the review, I haven't heard of this book before so I can't wait to check it out. I really like that the character sounds flawed. It always makes for an interesting read! And it's a ghost story!? I'm sold! Great review Christy! I haven't really heard much about this one yet, but I'm definitely intrigued... I love how it seems to be so creepy and if you liked it, I'm sure I'll like it, too! :) Thanks for sharing, Christy!